Our New Library is now OPEN! 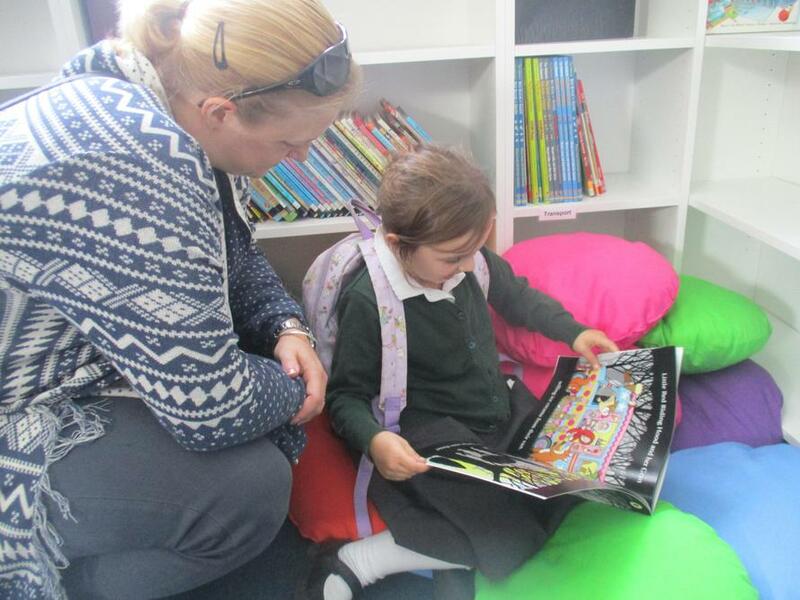 There was a buzz of excitement after school on Monday 10th September as a group of children and adults eagerly awaited the opening of our brand-new library. Invited guests included past and present pupils, who had been involved in fundraising or in choosing books for the library, together with many of their parents. Also present were representatives of the school governing body, teaching staff and PTA. 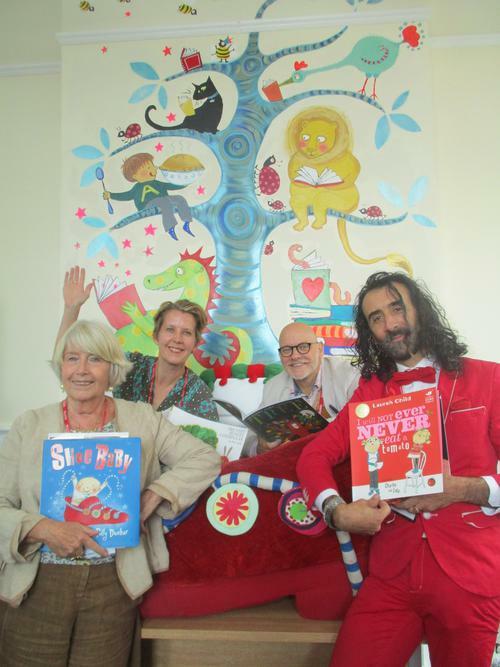 Special guests at the opening ceremony were four local author /illustrators, Joyce and Polly Dunbar, James Mayhew and Antonio Reche-Martinez, who had spent the afternoon working with children and communicating their love of reading and storytelling. 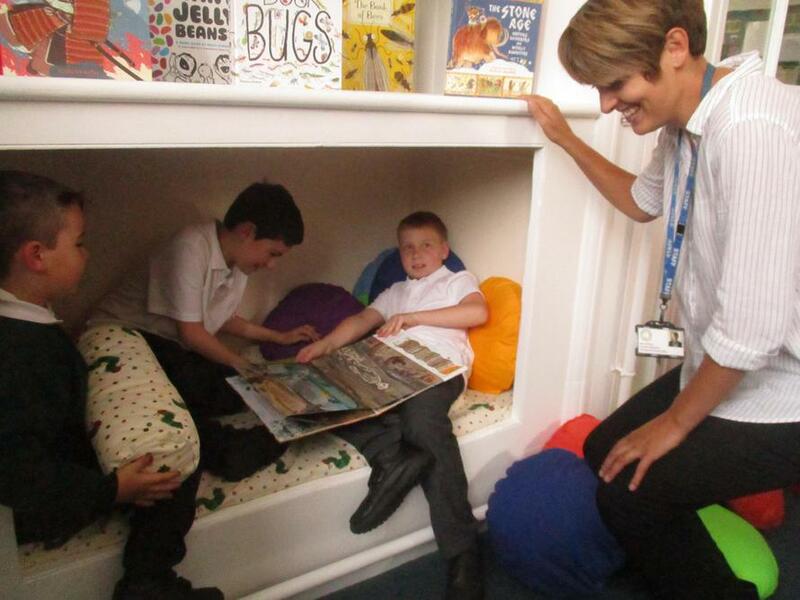 Our thanks go to Nikki Gamble from Just Imagine for her advice and support, to Polly Dunbar for creating an eye-catching and detailed mural in the library, to Gary Piele, CEO of The Active Learning Trust, for his support for the project and to Kim Dawson for all her hard work as Reading Champion in school. Miss Watson spent time a great deal of time during the summer holiday to ensure that the facility was ready for opening. Our grateful thanks also go to the Friends of Albert Pye and to all those generous families who donated new books. 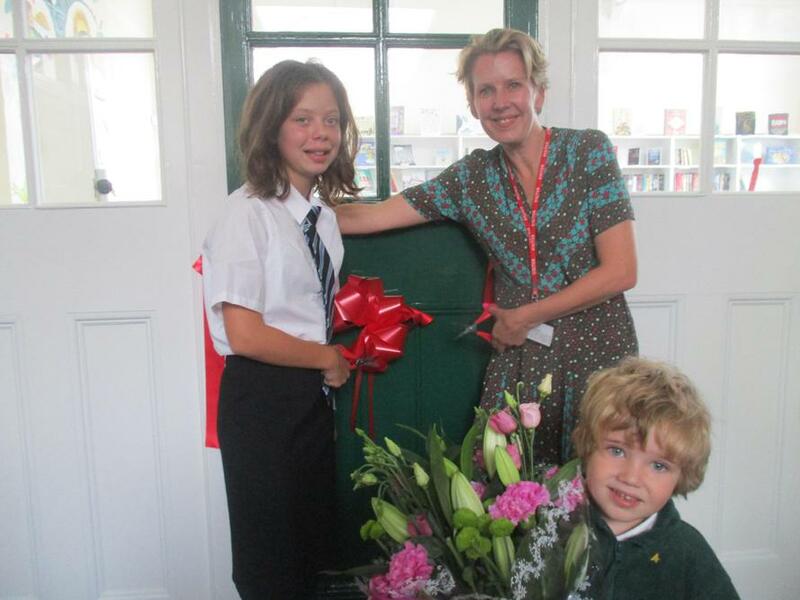 Once the ribbon had been jointly cut by Polly Dunbar and last year’s Head Girl, Rosie, everyone was able to admire the room, browse through the books and enjoy reading in comfort. 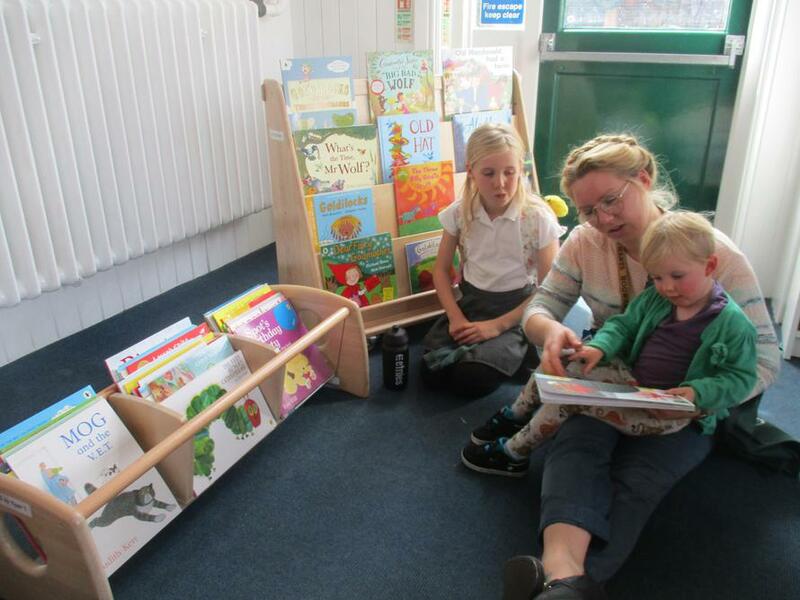 Enjoy our lovely new library!